Triana is Real Fairyland’s magical veterinarian, who not only can heal animals, but understand their language as well. 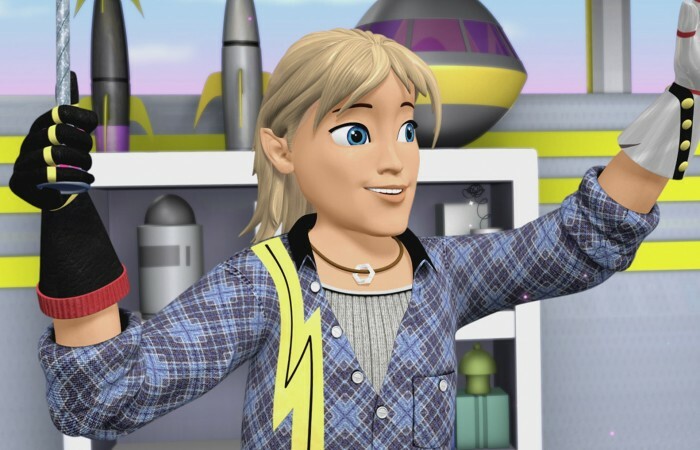 She often takes Airlie, Stacey and Jett on field trips, where she teaches them that nature is like a giant puzzle with all the pieces connected – if you change one piece, you change the whole picture. 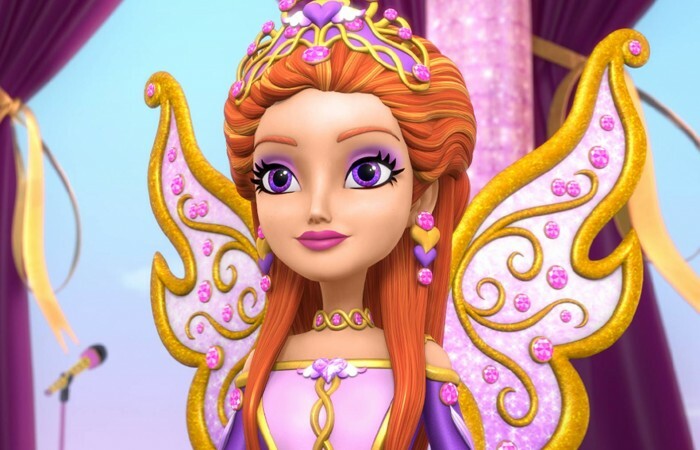 As Queen of Real Fairyland and Real Fairyland’s representative to the Council of Outer Realms, Queen Sirona is revered for her wisdom, deep knowledge of magic, and powerfully loving heart. With the other leaders of the Council, she shares the burden of secretly preparing the Outer Realms for the upcoming face-off with the Gloom Shadows. Fairyversity’s class clown and comical prankster, whose idea of making friends is to play practical jokes on her fellow students, then put up a Prank Stand on campus to recruit members for her own fan club. She’s always in the moment, and the moment is always about her. But her wackiness conceals a soft side – she was a misfit in her childhood home, the Land of Whatsie, and sees Real Fairyland as the only place where she’s accepted for who she is. 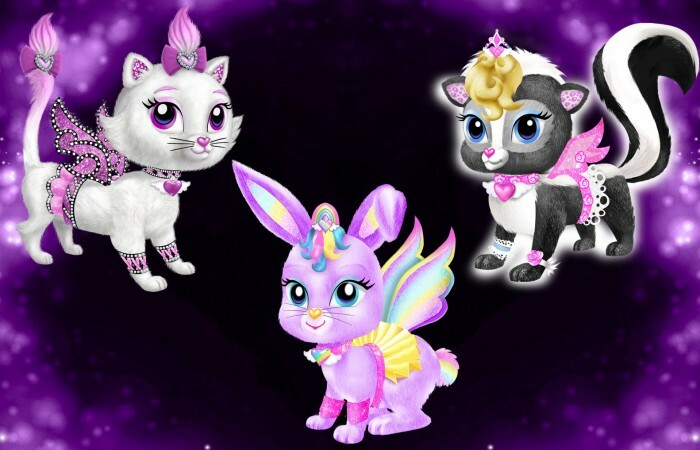 Meet Tambie Cat, Rainbow Bunny, and Rosie Skunk! These irresistible rescued pets study “Helper Magic” at the Pet Rescue Center. They earn and give award ribbons when fairies or Earthies reach a goal or dream. 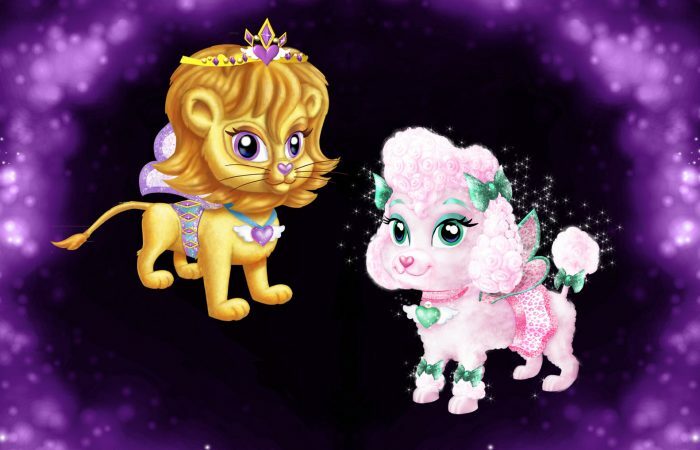 Meet Reffie Lion and Snowette Poodle! These irresistible rescued pets study “Helper Magic” at the Pet Rescue Center. They earn and give award ribbons when fairies or Earthies reach a goal or dream. Rosa is one of the Virtue Bloomz Fairies who lives in her own magical flower vase in the Lost Tooth Garden of Real Fairyland’s Jewel Garden. A new virtue comes to every Earth child for each of their 20 lost teeth and Rosa’s virtue flower is “Patience.” The Virtue Bloomz fairies awaken and pop out of their vases to celebrate when an Earthie shows their virtue. The Real Tooth Fairies deliver Rosa’s Virtue Charm of Patience to celebrate Earthies who’ve lost their 1st tooth. Daisy is one of the Virtue Bloomz Fairies who lives in her own magical flower vase in the Lost Tooth Garden of Real Fairyland’s Jewel Garden. A new virtue comes to every Earth child for each of their 20 lost teeth and Daisy’s virtue flower is “Sharing.” The Virtue Bloomz fairies awaken and pop out of their vases to celebrate when an Earthie shows their virtue. The Real Tooth Fairies deliver Daisy’s Virtue Charm of Sharing to celebrate Earthies who’ve lost their 5th tooth. 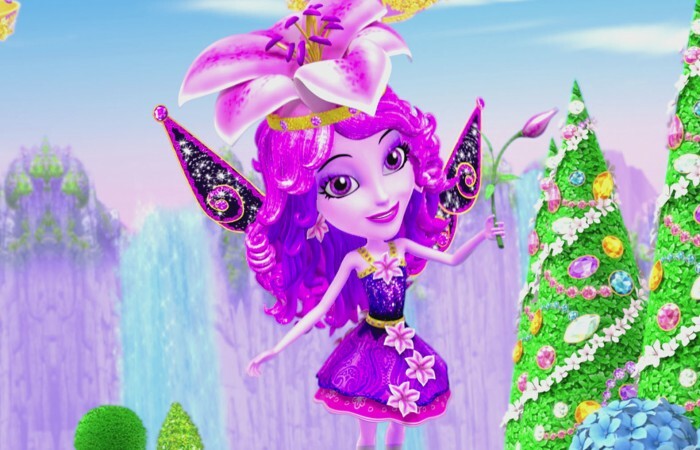 Lily is one of the Virtue Bloomz Fairies who lives in her own magical flower vase in the Lost Tooth Garden of Real Fairyland’s Jewel Garden. A new virtue comes to every Earth child for each of their 20 lost teeth and Lily’s virtue flower is “Confidence.” The Virtue Bloomz fairies awaken and pop out of their vases to celebrate when an Earthie shows their virtue. 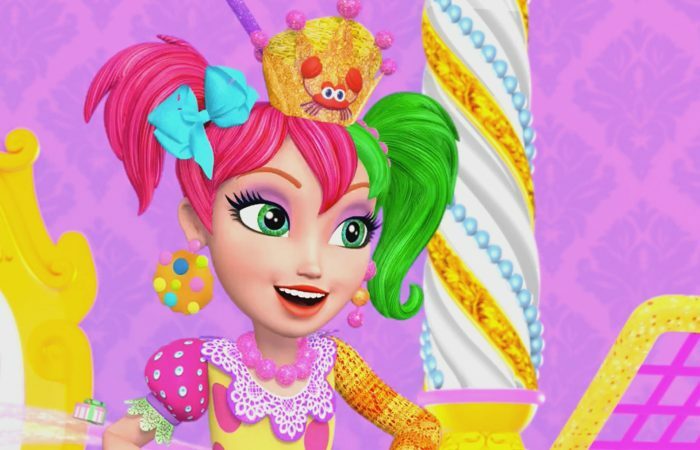 The Real Tooth Fairies deliver Lily’s Virtue Charm of Confidence to celebrate Earthies who’ve lost their 3rd tooth. Zoom is proprietor of The Green Machine Shop, Real Fairyland’s MagicTech air cycle emporium. Zoom is a mechanical genius and MagicTech guru who can build anything out of the wildest found objects and make them fly. These tiny creatures with a high-pitched chitter-language each have a different fragrance, from rose to bubble gum to old sneakers. Formerly paparazzi for a Real Fairyland news service, they still retain some of their old habits to chase down a good story or spy on the baddies. 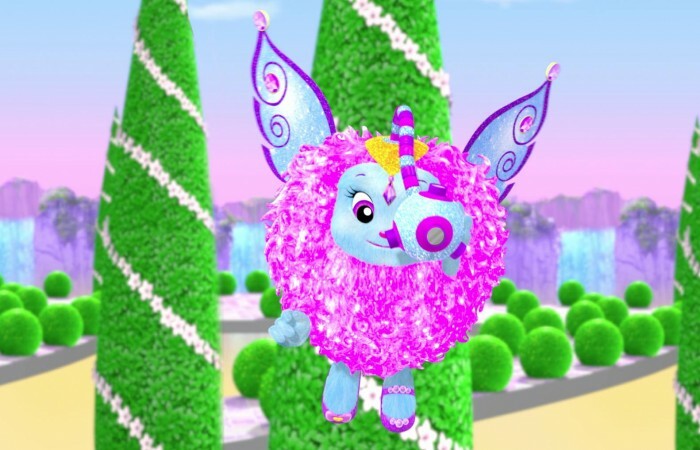 Now they spend their time filming footage of Airlie the new Earth girl’s adventures in Real Fairyland which she shows on her vlog about everything Tooth Fairy.